Product code: 22530 Category: Backpacks. 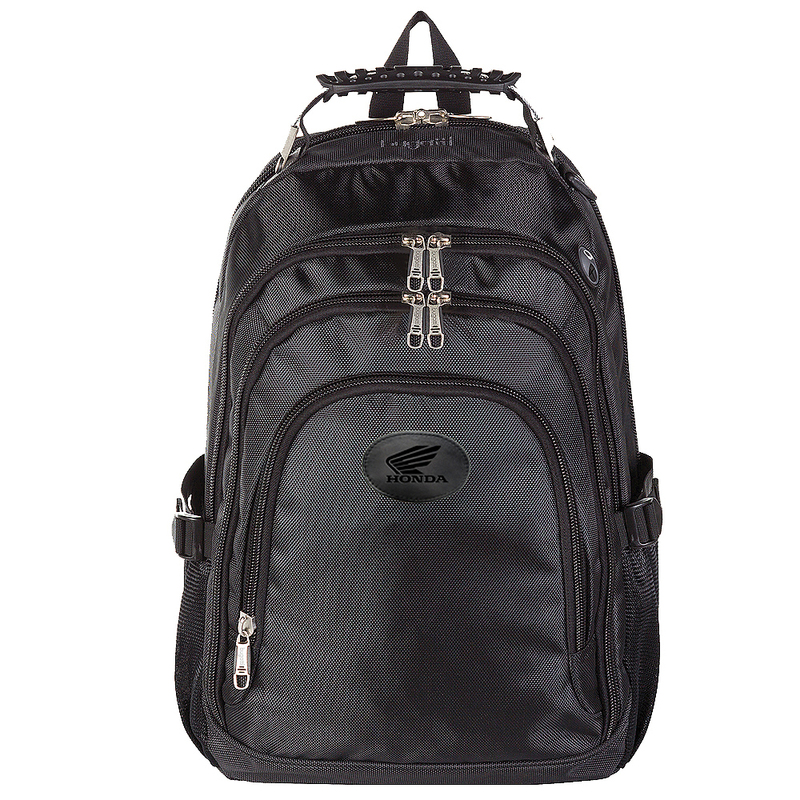 The Zoom® computer backpack is perfect for carrying the technology you use on a daily basis. The main compartment has a laptop pocket that can fit up to a 15.6 in. laptop. 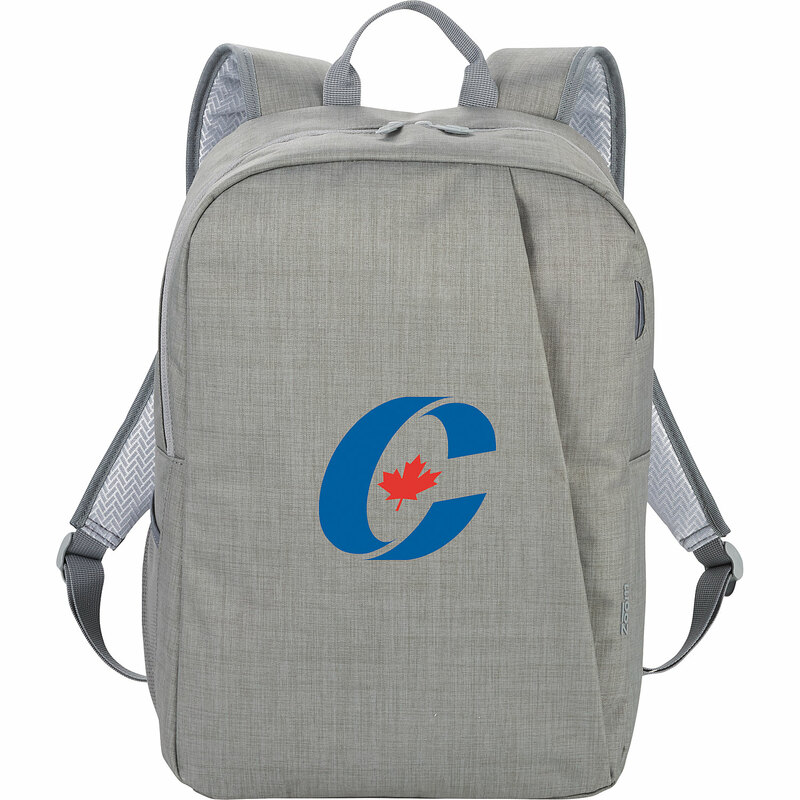 The backpack includes a mesh pocket and two additional pockets to store a power bank or phone. It has padded back and shoulder straps with a trolley sleeve. Size Choose an option17.5 in. x 4.5 in. x 11.5 in. 17.5 in. x 4.5 in. x 11.5 in. Fabricated with the same material used in parachutes, this OGIO® pack is built to last! This top opening carry-all with drawstring closure is made from 420d poly double ripstop, and has a padded, adjustable shoulder strap and padded back panel making it comfortable to carry. Features a web hanger loop, easy access front storage pocket, side stretch mesh water bottle pocket, side valuables stash pocket, and a stretch mesh phone pocket on shoulder strap. Go mobile with your devices! 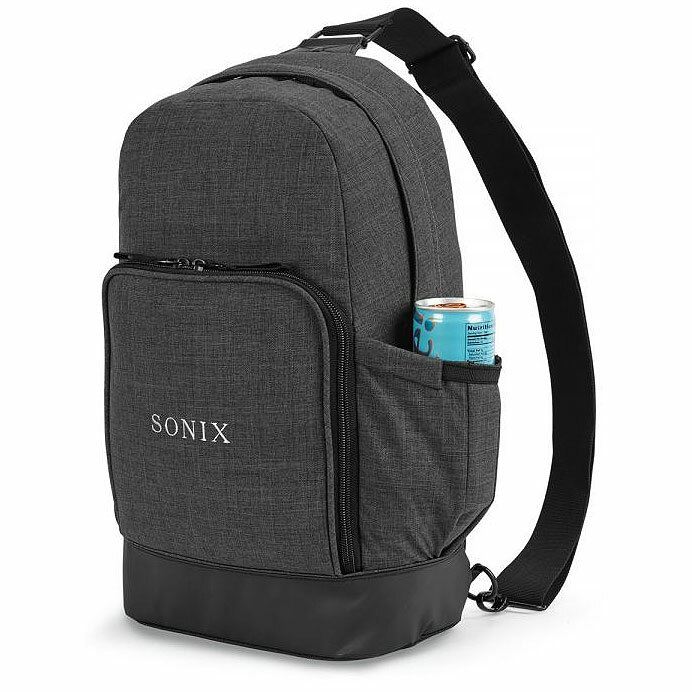 Made from 600d PU backing, this sling backpack features a zippered main compartment with padded back that can hold up to a 12 inch tablet, front slash pocket, and an adjustable sling shoulder strap. 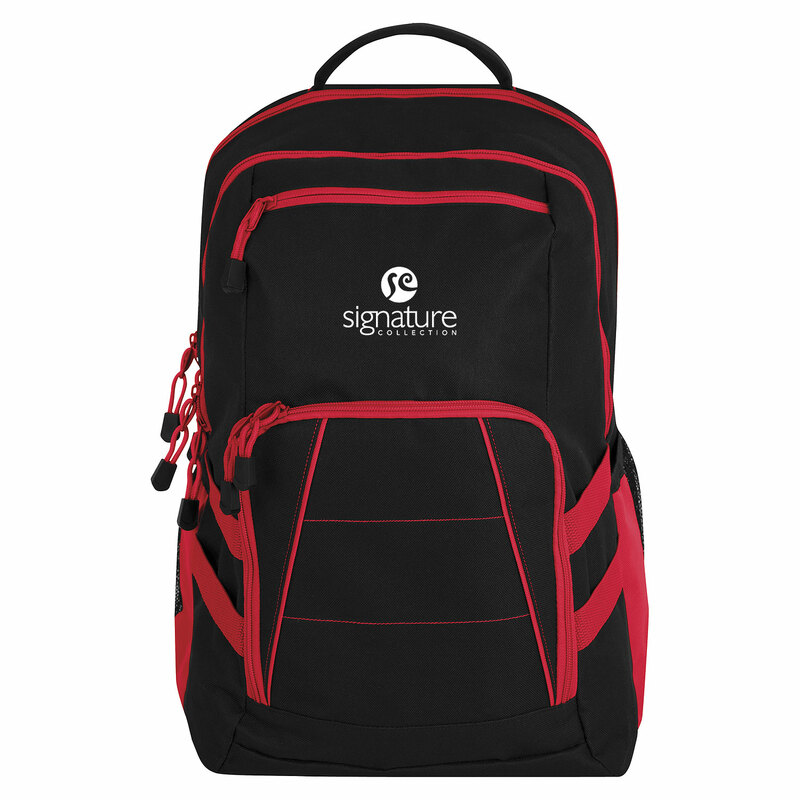 This kid friendly sling backpack is also a great sponsorship giveaway for schools. Used by the Winnipeg Jets! 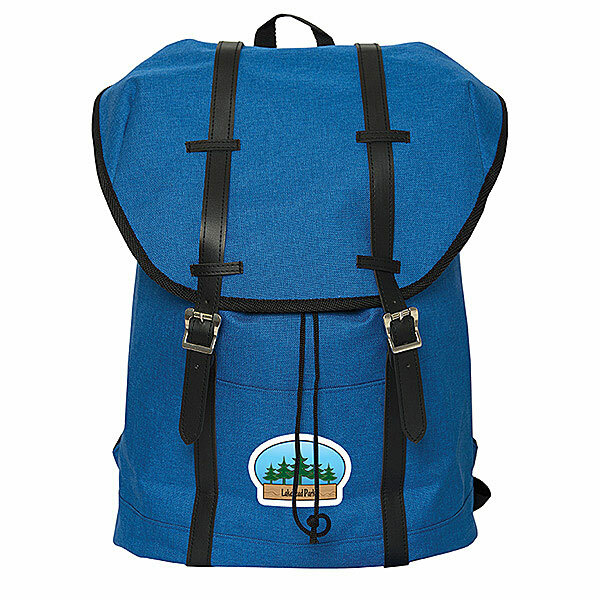 This high quality backpack is tricked out with all the bells and whistles for your next adventure! Store your items in the crush resistant fur-lined valuables pocket, side entry fur-lined laptop compartment, side entry file sleeve, padded tablet pocket, dual expandable hydration pockets, organization panel and keep in place with elastic webbing containment loops. For added comfort, this backpack features P-Shox adjustable shoulder straps, a moulded ergonomic back panel, top custom injected soft grab handle, and adjustable sternum strap. The military grade zippers are backed by a lifetime guarantee. This sling bag is always in style! Made from 600d polyester/tarpaulin the tanner sling bag has a zippered main compartment with padded pocket for storing up to a 12 inch laptop or tablet. 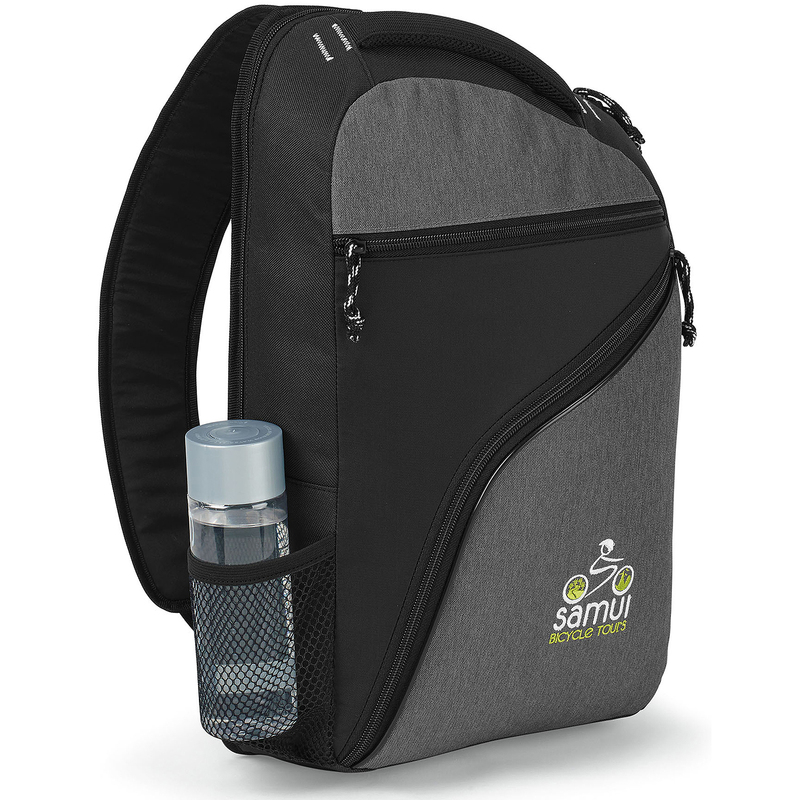 Features a side water bottle pocket, zippered front pocket with multi-function organizer, and an adjustable, crossbody shoulder strap. 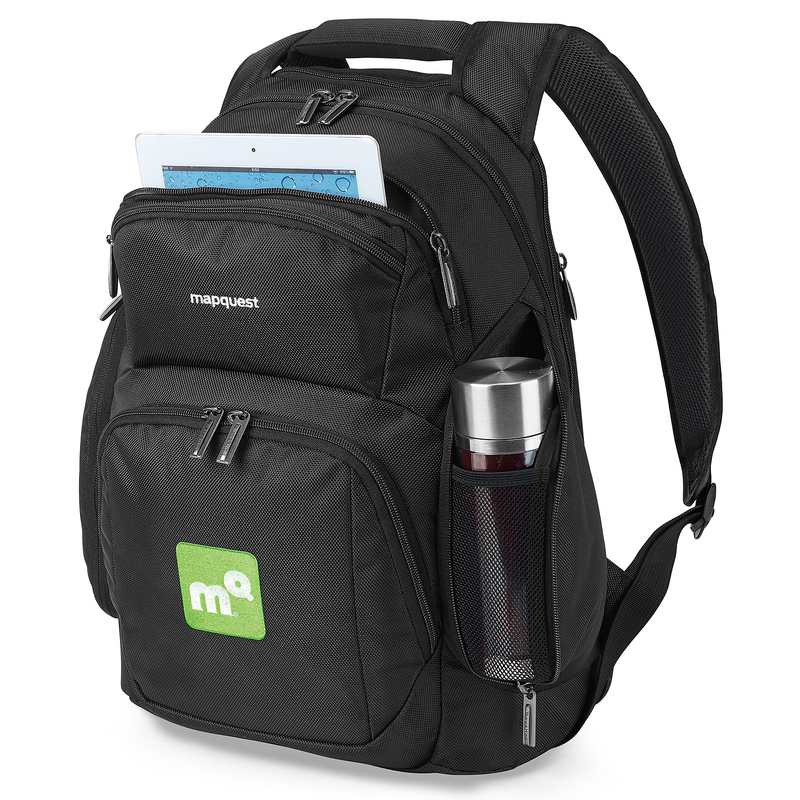 This fully loaded backpack is great for employees! Get them to and from the office with their belongings stored safely in the multiple compartments and pockets. Made from 1680d polyester the titan backpack has a zippered main compartment with padded, scratch-resistant tablet pocket for up to a 10 inch device with case, as well as a zippered padded computer compartment that fits up to a 15 inch laptop, and opens flat to expedite airport security check-in. Features a multi-function organizer in the main compartment that is ideal for storing cords and accessories a front zippered pocket with RFID blocking technology, a top zippered pocket for your smartphone or sunglasses, and dual zippered side pockets perfect for your water bottle. The padded top grab handle and adjustable shoulder straps, along with the trolly strap feature makes travelling a breeze. This backpack has a stylish, tall and thin silhouette for the minimalist that is convenient for everyday use! The Karl features military grade zippers, front pocket organization, Topo lining, and padded shoulder straps. Capacity is 19 litres. Looking for a functional and attractive gift for your employees? Made from polycanvas this Jura laptop knapsack features a drawstring closure to the main compartment, a padded foam laptop pocket inside the main compartment, a striped inner liner and a front flap closure with PVC belt, straps and magnetic snaps. It also includes a front open pocket and comes with a top carry handle as well as comfortable air mesh adjustable shoulder straps. The knapsack fits laptops up to 15.6 inches. This attractive sling bag is on trend! 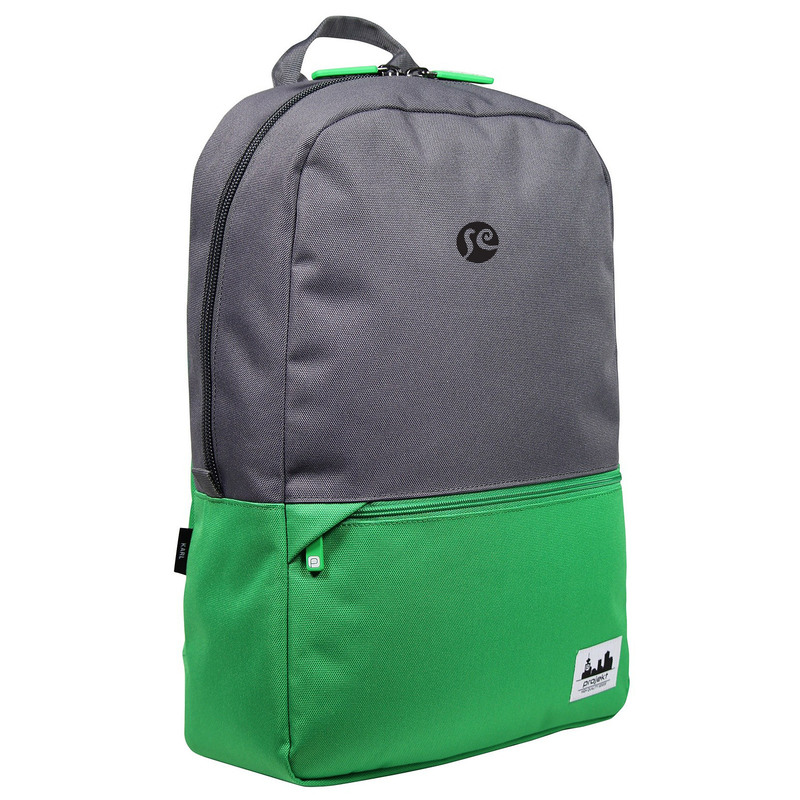 Made from 600d polyester/420d polyester/210d polyester, the backpack has a padded laptop sleeve located in the main compartment that will fit up to a 15 inch laptop. Features a top zippered pocket sized to fit up to a 10 inch tablet with case, a front zippered pocket with multi-function organizer, and a side mesh water bottle pocket. It's easy to carry with the sport mesh grab handle, and padded, adjustable shoulder strap that also includes a mesh pocket ideal for storing your smartphone.